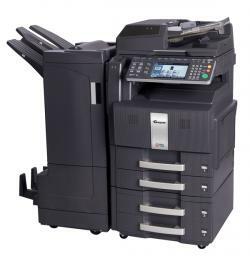 The Copystar CS 250ci redefines Color Multifunctional Systems with a bold and innovative new design that delivers flexibility, performance, quality and ultra-reliability. Leveraging the power of an advanced multifunctional system is essential for your organization to be competitive. The CS 250ci delivers that power with a 25 ppm multifunctional system for all of your color and black imaging requirements, plus innovative scanning and sending features to boost workplace productivity. All of this combined with unique long life technology, exceptional product functionality and consistent color image quality, assures you are investing in a solution that meets your requirements. And the Copystar CS 250ci has the flexibility to grow as your needs evolve.